In early October, there is a celebration in honor of St. Francis. It is the Blessing of the Animals. 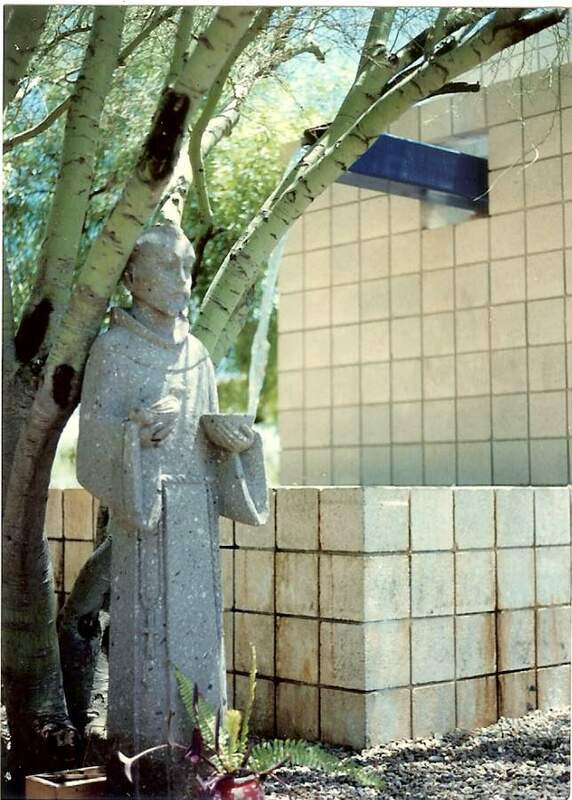 This statue of Francis stands in front of St. Francis in the Foothills United Methodist Church, a church I served as pastor in Tucson. Waiting for his “blessing” is my wonderful cat, Kaimana. He loves being outside, but he still comes to wait on the front deck for his daily loving from me. I think he’s more attracted by the idea of getting fed. 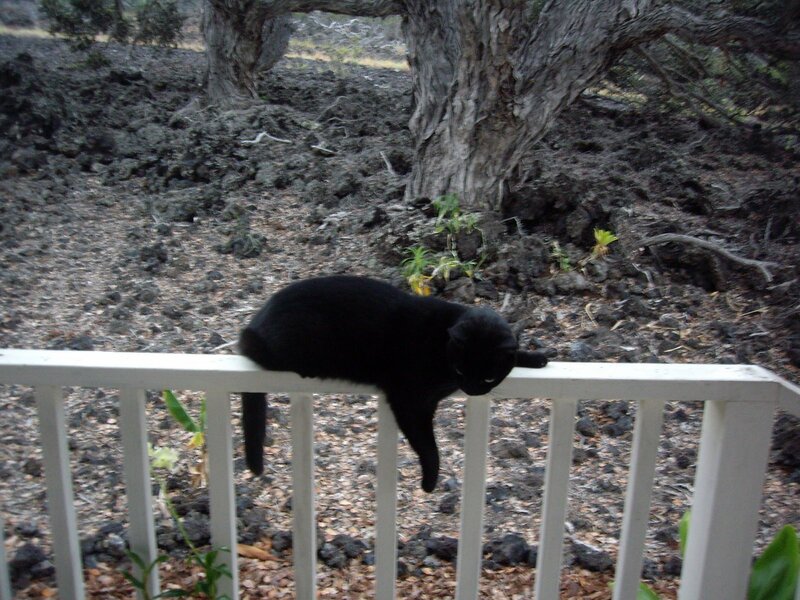 He makes a great Halloween cat, don’t you think? 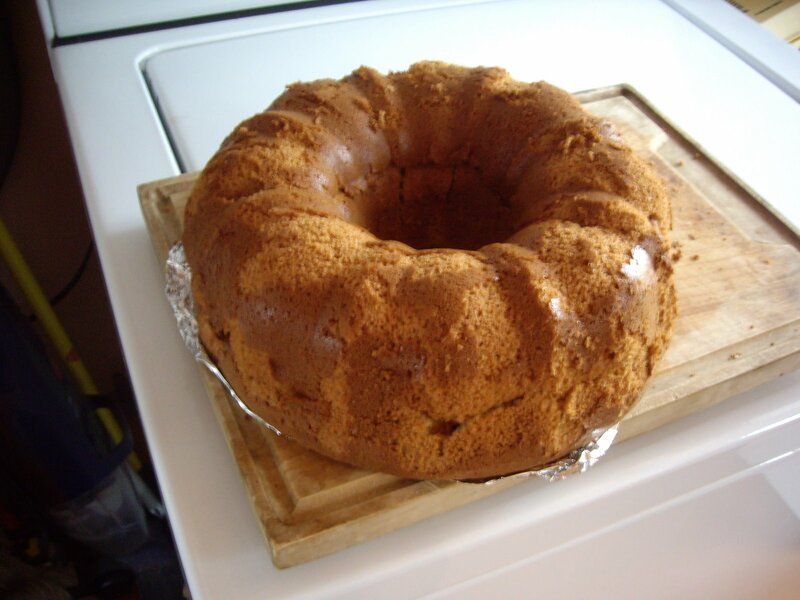 A few weeks ago, I wrote about memories of having maple chiffon cake on my birthday. 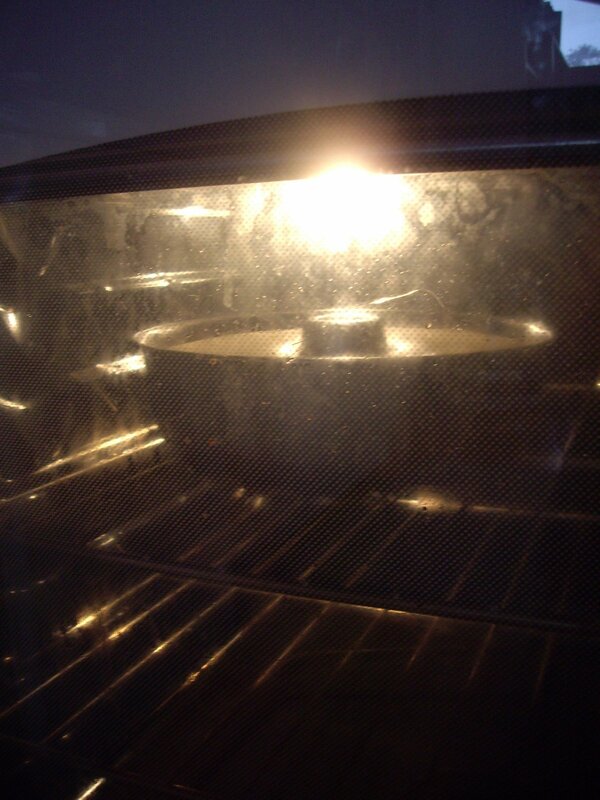 Is it any wonder that maple chiffon cake has been on my mind ever since then? It is definitely a dessert for the autumn season, so I decided to make one. I no longer have my mother’s recipe, so I went to Google. The recipes were almost all alike, and remembering how hers tasted, I came up with a recipe that might work. Not only that, but I have way too many eggs now that the girls are producing regularly. 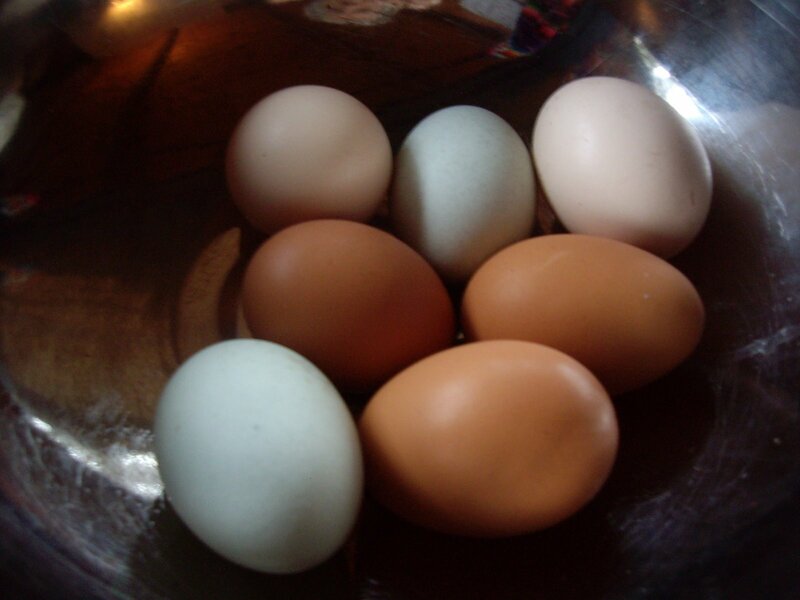 I usually give most of them away, but this recipe calls for seven eggs! Hooray! Here are the seven I used for this cake – two blue, two pink, and three brown. All the girls contributed to this project. 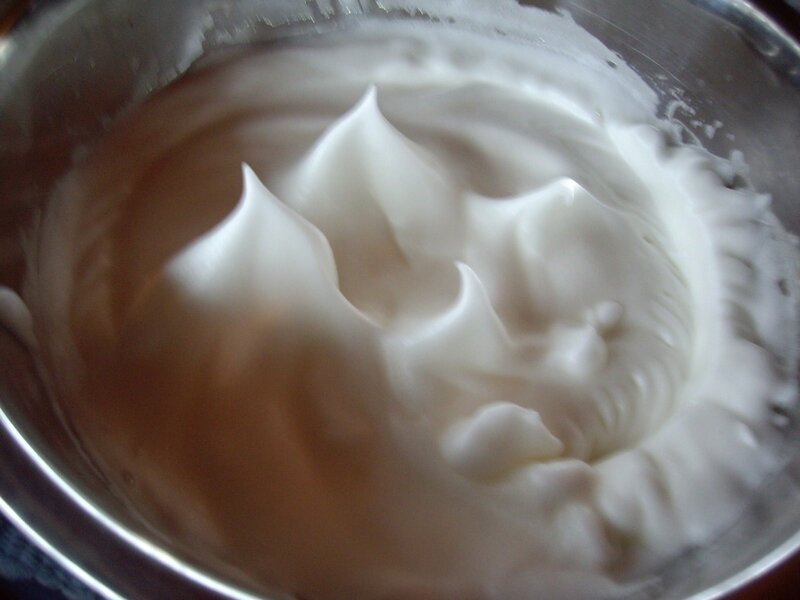 In a large mixing bowl, beat 7 egg whites with ½ teaspoon cream of tartar until stiff peaks form. Gradually pour egg yolk mixture over egg whites and fold carefully until just mixed. Pour into a 10-inch angel food baking pan and bake for 1 hour at 350 F.
This picture was taken through the glass door of my oven 10 minutes after I put it in the oven. I didn’t have a 10″ angel pan, so I tried to get by with a 9 ½” bundt pan. I don’t think Mother put any sort of icing or glaze on top, but here is one you can use if you want to get fancy. Heat 1/3 cup butter over medium heat until brown. Spread over cake and drizzle some down the sides. The non-stick pan wasn’t really non-stick, so you can see where part of the top came off when I took it out of the pan. Maybe I’ll put a glaze over it after all to hide the holes. Other than that, it didn’t turn out too badly. It smells the way it should. To complete the picture I gave you about a birthday picnic in the woods of Southern Illinois, I really should have made some ham salad sandwiches. Since my brother gave me a food grinder for my birthday last year (or was it for Christmas? Oh dear!! ), I can grind up some left-over ham, add sweet pickle relish, mayonnaise, and a dash of mustard for “kick”. Mix it all up and slather onto nice homemade whole wheat bread with lettuce and tomato. 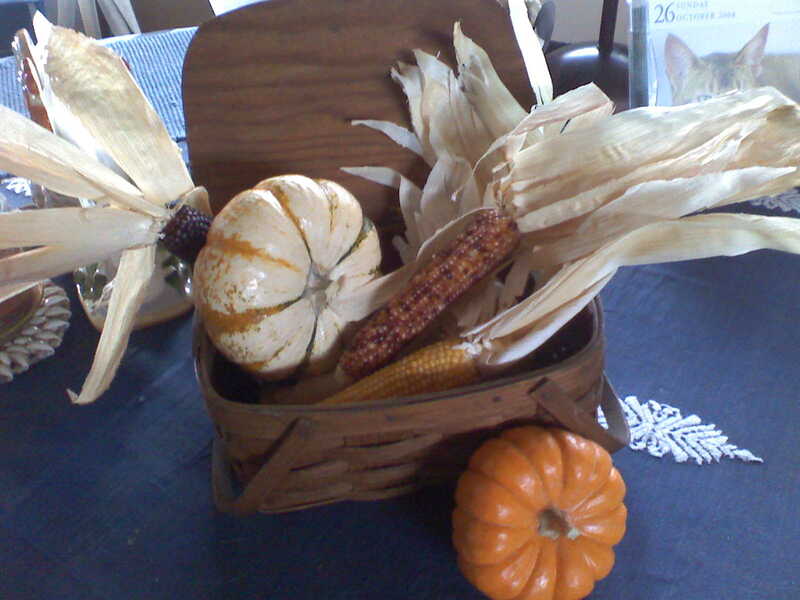 There you have the makings of an autumn picnic. The only thing I’m missing to round out my picture of a true mid-west autumn would be a few pots of chrysanthemums. I’ll go look for those this week, too. Since I don’t have mums handy, here is a little table arrangement I’ve put together for my own amusement. Now I need to go out and rake up some fallen ohia leaves, shuffle through them and throw down an old tablecloth to have my picnic. Care to join me?